The Conductivity, Temperature, Depth (CTD) rosette. 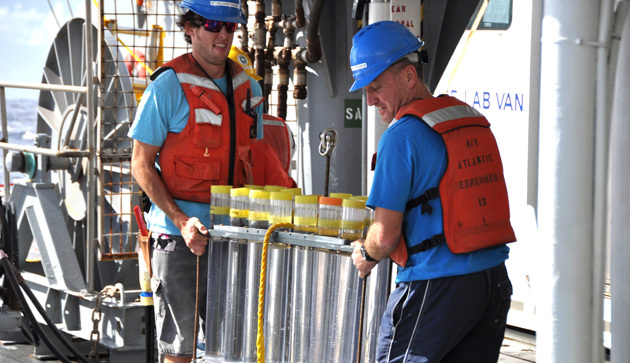 Working aboard the R/V Atlantic Explorer. 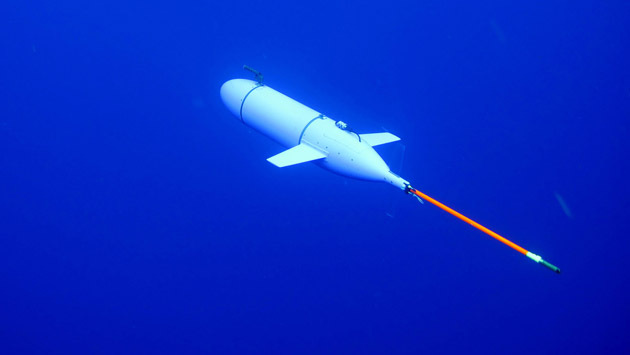 Professor Charlie Eriksen and his team from the University of Washington visited BIOS to conduct extensive field testing of a deepglider in the waters off Bermuda. 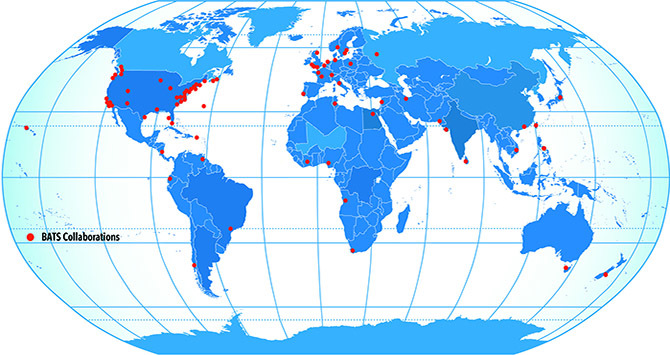 Scientists require a wealth of information to fully characterize and understand both regional and global climate, as well as fundamental ocean processes and functions. Certain questions, such as how the ocean responds to global climate change, can only be answered by in-depth analysis of data collected continuously over a significantly long period of time, also known as a time-series study. 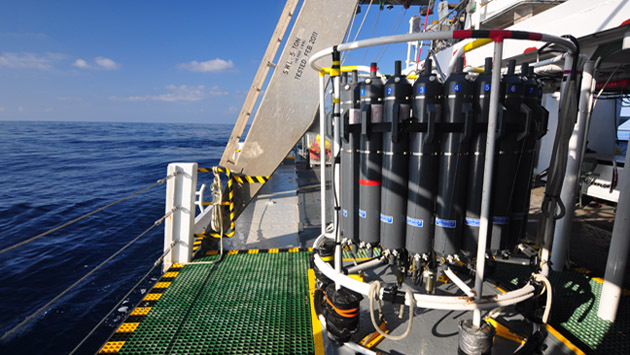 The Bermuda Atlantic Time-series Study (BATS) was established to help scientists address these "big picture" questions about the ocean by collecting data on important physical (hydrographic), chemical, and biological parameters throughout the water column at multiple sites within the Sargasso Sea. 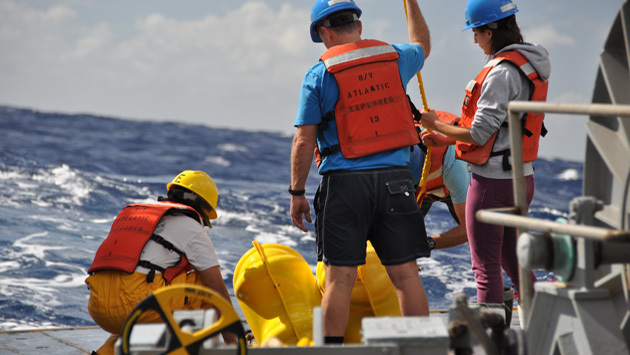 Since the program began in 1988, BATS data have been used by researchers at BIOS--and around the globe--to explore active oceanographic questions and integrate new methodologies into their research. BATS has proven invaluable in ocean and atmospheric science by producing data that helps us better understand global climate change and the ocean's responses to variations in the Earth's atmosphere. 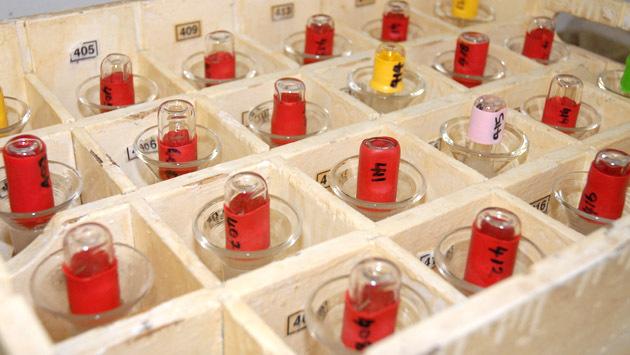 BATS and other deep-ocean time-series have highlighted the importance of biological diversity in understanding biological and chemical cycles, including "active" carbon transport by migratory zooplankton as part of the ocean's Biological Carbon Pump. BATS scientists have also focused on carbon exchange between the ocean and atmosphere, seeking an understanding of how the ocean responds to increased levels of atmospheric carbon dioxide.